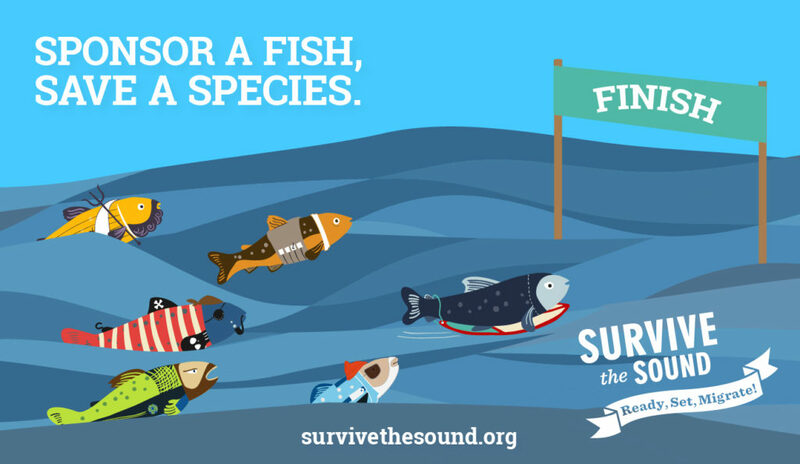 Because conservation in the Northwest is something I care a lot about, I’m excited to share about the Survive the Sound campaign. As a mom of a third grader, first grader and preschooler, I can imagine how fun it is for classrooms to follow along as salmon “race” in this great program! Survive the Sound is a fun, interactive platform for the public to engage with Seattle-based nonprofit Long Live the Kings and the work they do. The campaign is also more than a game – it’s a resource to educate classrooms on the importance of wild steelhead recovery. The Puget Sound has experienced a dramatic decline in steelhead during the past 30 years as a result of habitat destruction, predators and pollution. Steelhead are currently at less than 10 percent of their historic abundance and listed as a threatened species. Without action, this iconic Northwest fish may slip into extinction. Long Live the Kings has worked tirelessly since 1986 on research and conservation efforts to protect wild salmon and steelhead populations. 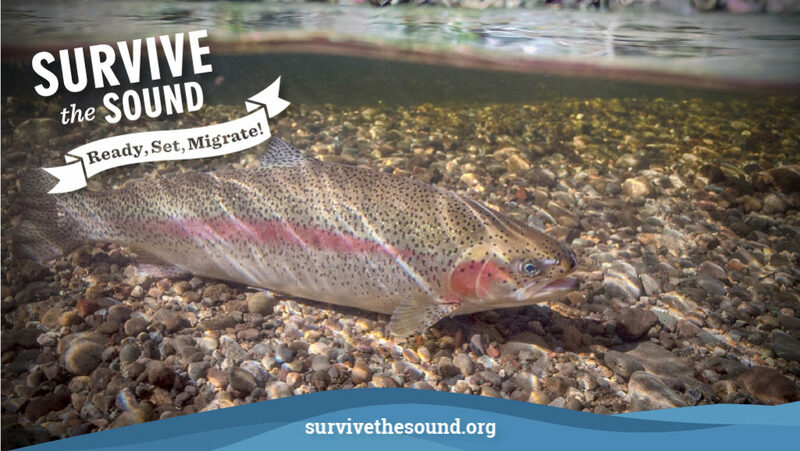 With its interactive game, Survive the Sound, Long Live the King tracks real data from migrating wild steelhead to create a competition among friends, family and colleagues. It’s like fantasy football for fish! In Survive the Sound, players sponsor a fish (or several fish) and follow the steelhead journey to the ocean. Fish sponsorship donations go directly toward Long Live the King’s efforts in the recovery of wild salmon and steelhead populations. Get ready to make a difference and have some fun with Survive the Sound! To create a team and follow along, visit www.survivethesound.org. 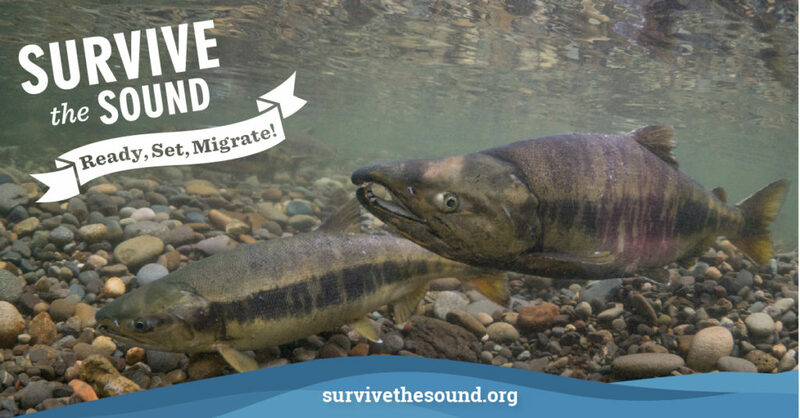 Learn about the migratory issues steelhead face as they brave Puget Sound. Share information and resources received through the game with family and friends. Contribute: The game offers a tangible, simple way for the public to contribute to the cause. 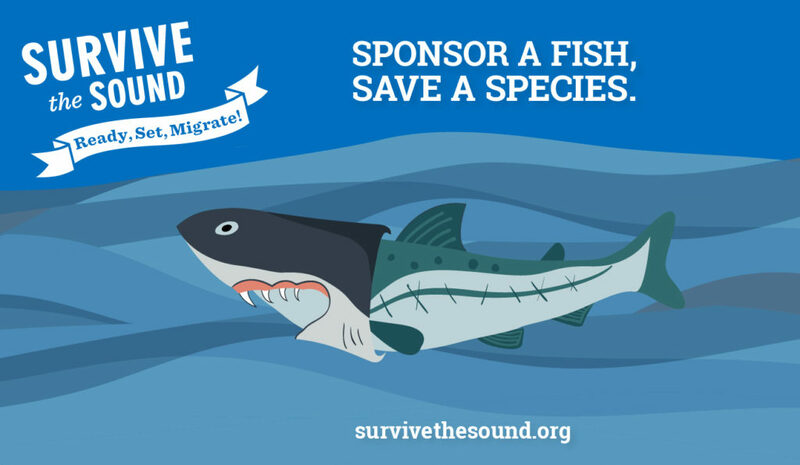 Donate to conservation efforts by sponsoring a fish in Survive the Sound. Challenge friends, family and coworkers to compete with (or against) you to see whose fish survives the Sound. Prizes are awarded to sponsors who have the most fish in their school, the most surviving fish, and the fastest fish.